After the match suspended due to safety reason on 13th October, with the Spain ahead for 3 to 2 against the home team of Portugal, the latest 105 seconds has played this afternoon in the same arena. In the latest seconds Spain grew its score with another goal scored by Anna Casarramona at 30 second to the end through a direct shot. 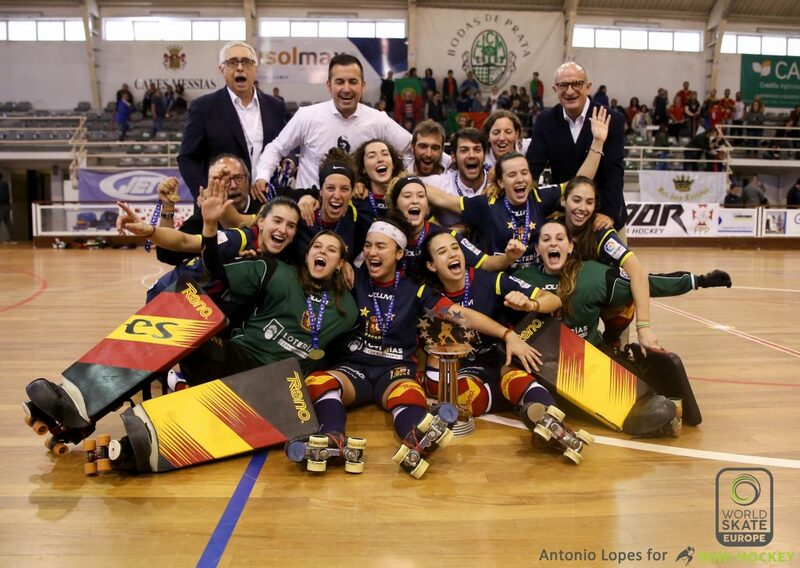 Spain won 4 to 2 and conquered the “great slam” of European Rink Hockey, never happened in the history. Spanish clubs won also the Euroleague (FC barcelona), the Cers Cup ( CE Lleida), the Female League Cup (HC Gijon) and the Continental Cup (FC Barcelona). With this trophee finally assigned, the next european event will be in december in Spain for the 4th European Club Female Under17 (further informations next days).